New Delhi: The Supreme Court on Monday directed political leaders to ensure that none of their views, observations or findings are attributed to the court in political addresses to the media or public unless such views, observations or findings are recorded by the court. 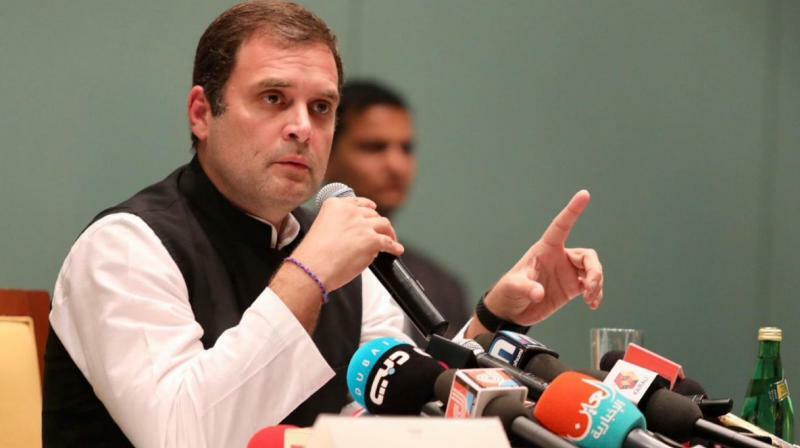 A three-judge bench of Chief Justice Ranjan Gogoi and Justices Deepak Gupta and Sanjiv Khanna passed this order while seeking the response of Congress president Rahul Gandhi in a contempt petition filed by BJP MP Meenakshi Lekhi over his “chowkidar chor hai” remarks after the apex court’s April 10 Rafale order. The Bench asked Mr Gandhi to submit his clarification on the statement through an affidavit on or before next Monday and the matter will be heard on April 23 (next Tuesday). Senior advocate Mukul Rohatgi, appearing for Ms Lekhi, accused Mr Gandhi of misquoting the SC’s order when the Congress leader said the apex court had accepted that “chowkidar” (a reference to Prime Minister Narendra Modi), is a “chor’ (thief). He submitted that Mr Gandhi, by attributing his remarks to the apex court which were not made by the court, had committed contempt of court. Mr Gandhi, while speaking to the media in Amethi on April 10, had said, “The Supreme Court has made it clear that ‘chowkidar’ allowed ‘theft’ and that it had accepted that some sort of corruption had taken place in the Rafale deal”. He was reacting to the Supreme Court’s order to examine the decision-making process in the Rafale deal on the basis of stolen documents published in the media on alleged irregularities in the deal. “How can the Gandhi family talk about corruption when three of the four members of the family are out on bail… Rahul Gandhi has misquoted the Supreme Court order and he made the remarks to influence the voters during the Lok Sabha elections,” she further said. Reacting to the Supreme Court’s directions seeking an explanation from Mr Gandhi, the Congress said on Monday that it would provide an explanation to the court. “Having clarified the matter, we deem it proper to ask the respondent (Rahul Gandhi) for his explanation which will be laid before us on or before 22.04.2019. The petitioner will be at liberty to file additional affidavit. We further observe that no views, observations or findings should be attributed to the Court in political address to the media and in public speeches, unless such views, observations or findings are recorded by the court,” the order further said.